Well someone inside of me died. My daughter, Tinsley. Tinsley came into this world stillborn at 31 weeks and 4 days on December 4, 2017. A “true double knot” in her umbilical cord fractured her life support system, and before anyone knew there was even a problem, she had died. Confused, desperate, angry, devastated, guilty, betrayed, anxious, traumatized, obsessive, vulnerable, panicked, lost, and sometimes even hope and faith–these are a few of the feelings you’ll find in the poems I write here. They are usually pretty messy, just like my grief. Stillbirths are rare, affecting less than 1% of pregnancies in the United States (but they are still more common than you might think). Most bereaved families are utterly lost to find support when their baby is stillborn. In addition to my poetry, I’ve also compiled resources and tools I’ve discovered from other moms along my way. 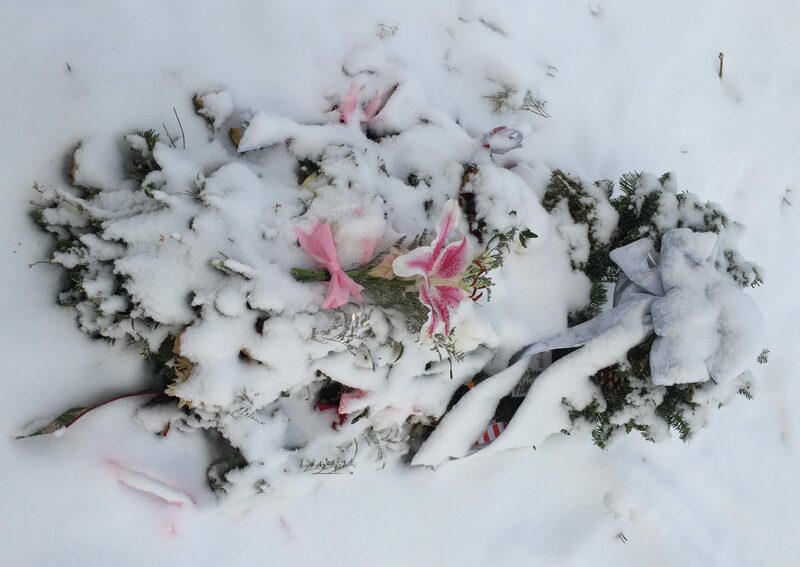 I hope something — a poem, a quote, a book, a Facebook group, a way to honor your baby — eases the pain of your own grief journey just a tiny, tiny bit. Update Jan 2019: Since Tinsley died, we have welcomed our fourth child into the world, Henry. Poems mentioning him or my pregnancy with him are tagged or categorized as #pals, #henry.